Many established musicians have begun their musical career with piano lessons. And for most people learning music starts with piano lessons too. If you want to learn piano from the scratch, it is recommended to start as early as possible. Learning to play the piano is a very complex process which requires a strong foundation in all key areas of playing the piano and also a great deal of knowledge in musical theory. This is why all beginner students need to also start learning theory as early as possible. At EPA, we offer special classes for novice pianists. Our beginners’ Piano lessons course will teach you to identify notes on the keyboard and read them in different scores, play scales, arpeggios, different piano exercises as well as learn repertoire piece. This course is aimed to introduce the beginner learners to the basics of playing the piano and keyboard. It will also enable the learners to lay a sound foundation in classical piano. Aspiring beginner pianists, who have never learned to play the piano before and wish to start developing their piano playing skills can apply for this course. What will be included in your lessons: At EPA, we implement the European teaching methods of playing the piano which will focus on the three main area of piano playing – technique development, mind, memory and focus development and the development of the emotional expression while playing repertoire pieces. 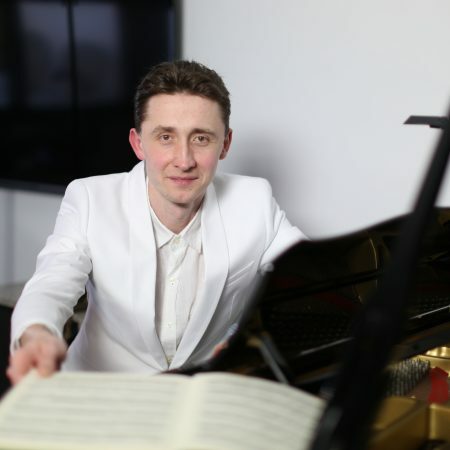 As a novice player, the learner is rigorously trained in all aspects of piano technique, such as piano etudes, exersises, scales, arpeggios etc. At EPA, all beginner students are taught sight reading on a regular basis as sight-reading is a very important skill to master in order to be able to learn any piano piece faster. Special and personalised attention is given to any beginner student in order to start developing piano technique as early as possible. Sound technique is a foundation of any good piano playing. Along with technical training, students are taught to develop certain emotional and mental skills to improve their engagement with a musical piece. After all, expressive performance is much more than merely playing the notes in the right sequence and at the right speed. At EPA, all beginner’s piano lessons are designed to offer a holistic and individualised training to all students, allowing them to develop all the essential skills required to play the piano in a shortest possible time-frame. My 6-year-old Son Has Studied With Illya For About Eight Months. Illya Has An Amazing Patience To Work With Young Children. The Positive Feedback And Encouragement From Illya has helped My Son To Build A Great Confidence. The Note Cards And Finger Exercises Illya Uses In Lessons Are Great Teaching Tools In Order To Gain Knowledge And Ability To Play The Piano Well. We Really Enjoy And Appreciate Amazing Lessons That Illya Provides For Our Son. My Daughter Angela Started Learning With Illya Last Year. He Is A Very Patient And Experienced Teacher. She Got An A In Her Grade 5 AMEB Examination – A Great Achievement – Considering She Has Never Taken Any Piano Examination Before. Illya’s Encouragement And Guidance has really Helped My Daughter To Gain Such A Successful Result. We Have Had The Pleasure Of Illya Teaching Our Daughter For Two Years. Illya’s Teaching Methodology Enabled Her, At The Age Of 14, To Pass The AMEB AMUS Examination In Her First Attempt. Illya Has Shown A Great Interest In Our Daughter’s Progress; Especially Her Technique Improved Tremendously In A Short Time. Illya Has Really Helped Me In Working Towards My Expression And My Technique. He Is Highly Rigorous, Passionate And Devoted. I Am Amazed By The Number Of Important Exercises And Ways Of Thinking He Has Introduced Me To. No One Has Ever Got Me Into The ‘deeper Levels’ Of Feeling And Thinking About My Playing As Illya.